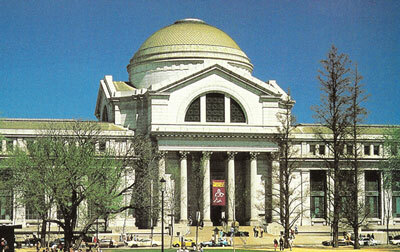 As the second-most visited museum in the world, Smithsonian’s National Museum of Natural History (NMNH) is in a great position to connect millions of visitors and their onsite museum experience to engaging and interactive digital tools for lifelong learning and operate as the hub for a large international network of science and nature badges. The Credly Open Credit API platform readily supports the complex and diverse needs of the Smithsonian’s NMNH badge program. Museum visitors participate in hands-on activities during their visit and then continue to learn when they get home, by working on the NMNH NatureBadges website to complete additional activities, and earn more points and badges. Q?rius is a new way for teens and tweens – and their families and educators – to connect science with everyday experiences. With a name chosen to inspire curiosity and the excitement of discovery, Q?rius is a first-of-its-kind interactive and experimental learning space that brings the unique assets of the Smithsonian's National Museum of Natural History – the science, researchers, and collections – out from behind the scenes. Visitors are invited to be an active and contributing part of this dynamic and engaging community. Q?rius (pronounced curious) was made with exploration in mind. Through conversations with scientists and interactions with thousands of authentic specimens and objects, visitors will enhance their grasp of the natural world, awaken new interests, and build inquiry skills for life. Educators visiting Q?rius will be invigorated with fresh ideas about how to engage their teen and tween students in science. Families will have fun while increasing their appreciation of science. A City & Guilds Group Business, we provide consultancy & technology to empower organisations & individuals to realise their potential by making all skills visible. See every skill.